How would you like to have 25 tools at your disposal, without having to carry a bulky toolbox, or even a simple utility belt? 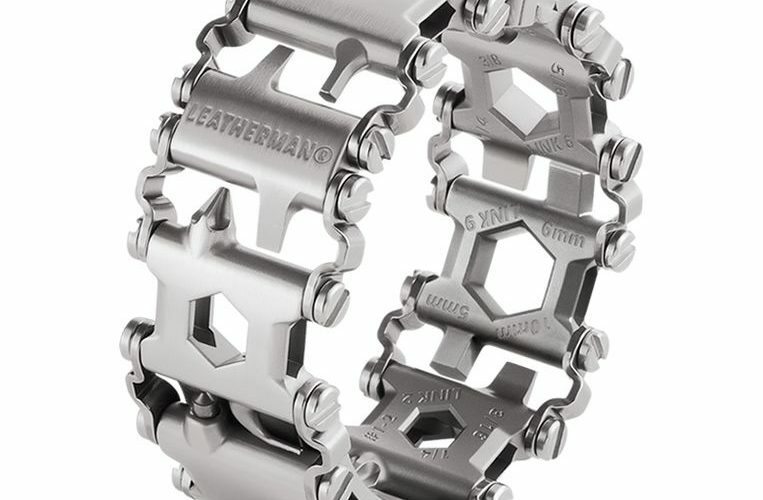 With the LeathermanTread, all you need is the will to wear an awesome, and very manly, bracelet. Its product designers made it possible to have multiple tools in each of the steel bracelet’s links, ranging anywhere from the most commonly used day-to-day tools such as Allen wrenches, screwdrivers, and box wrenches. 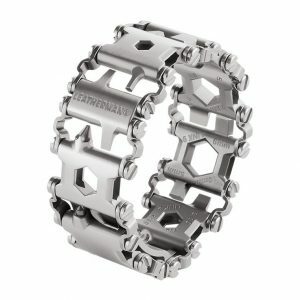 The bracelet is also fully adjustable to accommodate any wrist size, and fully customizable with the links (tools) that you need the most. Talk about as stylish as it is functional. Weighs only 150 grams. Made from 17-4 stainless steel, and available in raw finish or black. Follow the link below for complete product details, including a list of all the 25 available tools.